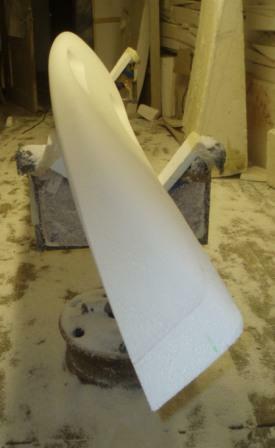 The craft below ( coastal sit-on-top ski ) was a special order for a craft able to be car-top-able (lighter than 26kg. Pro Designs offering came in at 13kg ! )strong, very stable and able to handle coastal cruising. The final design came in at 10ft x 30inches wide, a very stable platform for the customer. Even at this length the ski is able to be carried under the arm with ease using the handle attached to the right hand side of the ski. The photo's do not show the leg and back rest seat that are to be fitted by the customer. These will be added to this page as they arrive. 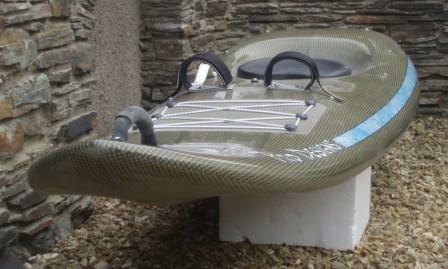 As can be seen from the photo's the craft was built using a Carbon/Kevlar material, which was also requested by the customer. 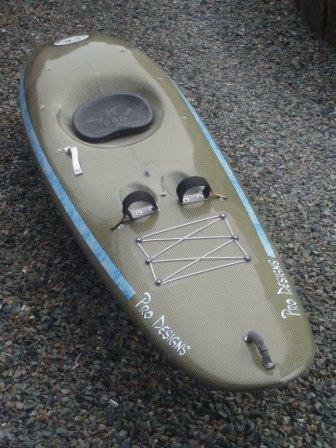 Alan Neighbour of Surf Pro Designs based at Woolacombe, North Devon having over twenty five years in the surfboard, waveski, paddleboard and surf race/rescue equipment business has currently completed designing and constructing a Double Length Race Paddleboard. This board is one of only a few to be built worldwide. Constructed from a coolite foam core and laminated with epoxy resin/fibre glass skin makes this paddleboard very light for its length, a little over 22ft. 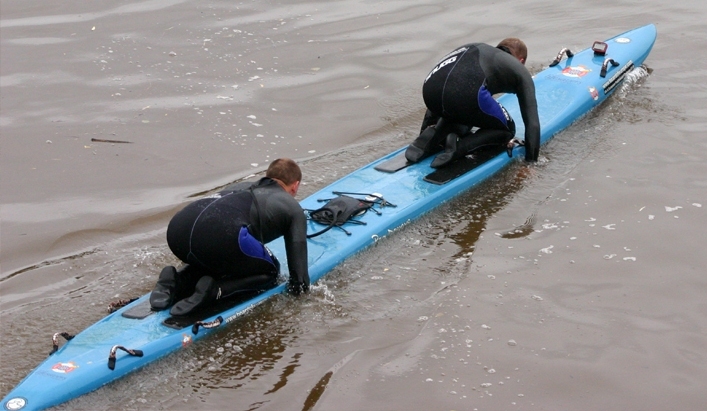 It is not the longest board ever taken on by Surf Pro Designs but still presented a challenge. It is fitted with GPS, water speed and temperature sensors, camera and hydration equipment. The board was commissioned by Rob Inett and James Fletcher, both members of RLSS South Worcestershire Life Saving and Lifeguard club. They will be embarking on a voluntary challenge, entitled " Boardofeurope". It is a sad fact that over 500 people drown in the UK every year. This voluntary project is intended to educate the UK and European public about the importance of being safe on and near our waterways and coastal areas. During a three week tour, nearly 30 sites will be covered with some 250km of paddling. Such venues as the Falkirk Wheel in Scotland, Giants Causeway in Northern Ireland and the Pontcysylite Aqueduct in North Wales will be visited. This UK tour is a pilot for a European tour 2008. The pair of paddlers will kick this tour by being the first to paddle a double racing paddleboard across the English Channel. Further venues such as Tromso Fjord in Norway, the waterways of Venice, the Mohne Dam in Germany and the Straits of Gibraltar are all currently being organised. 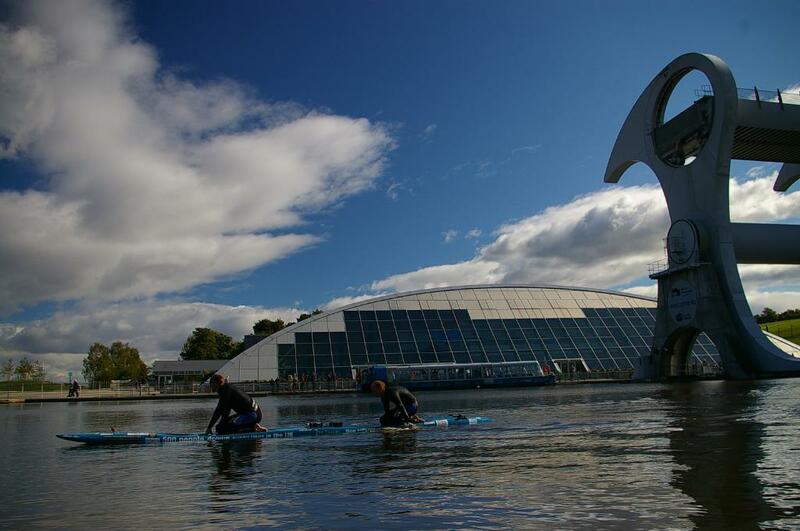 Alan Neighbour has been commissioned to design and build Europe's first double waveski. Built using coolite foam core and an epoxy/glass laminate. 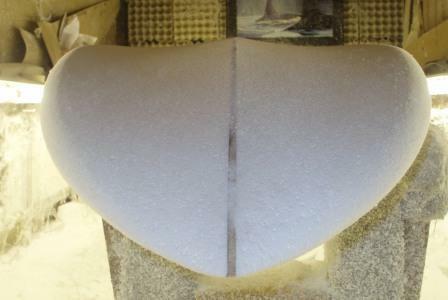 This was a huge undertaking utilising much of Alan's 25 years plus in the waveski and surfboard industry. Due to the nature of its intended use a considerable amount of strengthening went into the craft along with design considerations regarding stability. 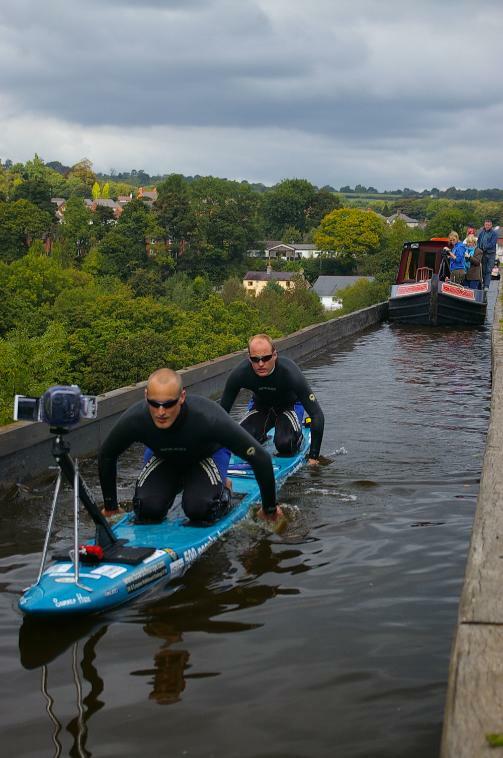 This waveski project was commissioned by Dave Saunders and Andy Read, both physiotherapy students and supported by the 'Stroke Association'. Their aim is to complete the crossing of the English Channel on a designated day in September 07. Completing the first crossing of the English Channel on a double waveski to raise awareness and funding for the Stroke Association. No mean achievement as neither Dave or Andy have paddled such a craft before.